There’s nothing like a road trip to air out the head, press the pause button, and actively practice the pursuit of, well, wellness. My recommendation? 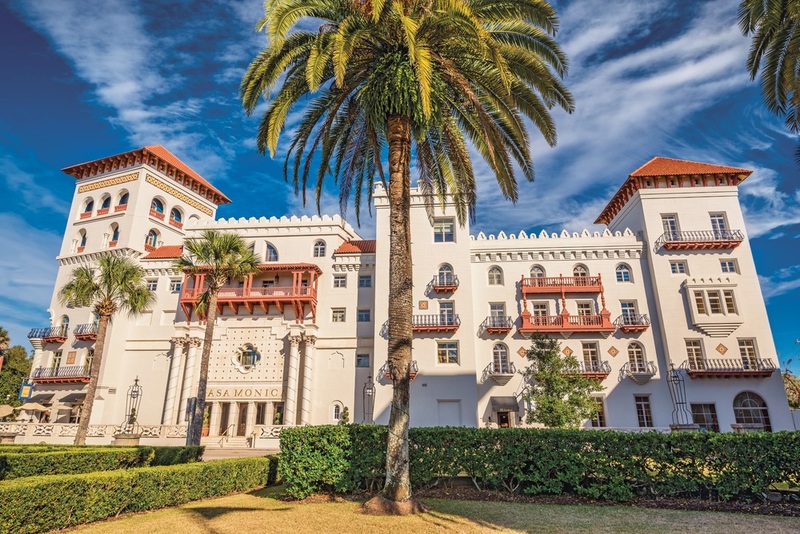 Begin with historic Saint Augustine, catch your breath Amelia Island–style, stop in alluring Savannah, and then cruise on to Charleston. 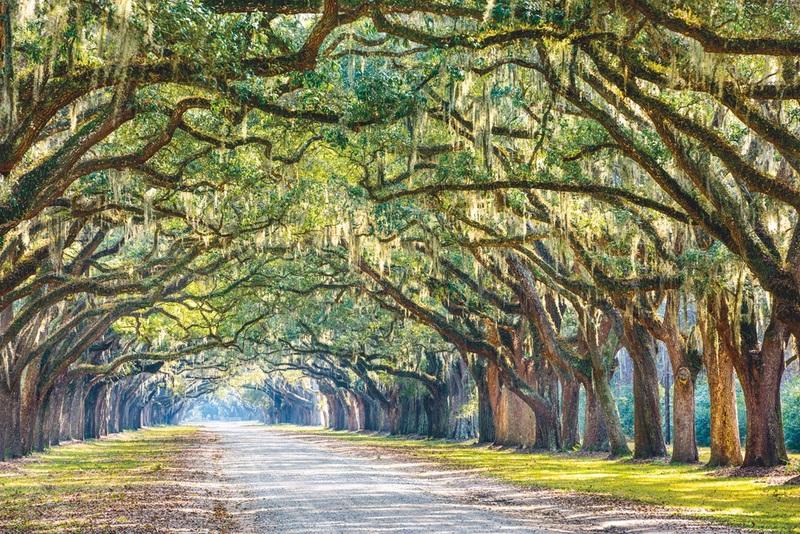 Make a beeline for this idyllic stretch of the Southeast and you’re sure to find your personal highway to health. Casa Monica Hotel offers the most luxurious accommodations in Saint Augustine, Florida. Opened in 1888, it is one of the oldest hotels in the United States. Photo by Nick Fox. Go big or go home, as they say, so we may as well start with the Fountain of Youth. I’d heard of it but was naive to the fact that it is indeed tangible, fluid, and flowing right in Saint Augustine. Any respectable road tripper seeking rest and rejuvenation must partake. Drink it, allow it to drizzle onto your skin, and heck, believe in its magic as many generations have done. With boasting rights as the nation’s oldest city, formed an impressive fifty-five years before the Pilgrims landed on Plymouth Rock and forty-two years before Jamestown was even colonized (thanks to Ponce de León’s 1513 exploration), Saint Augustine is a delightful city. Easy to navigate and chock-full of shops, restaurants, and interesting sights, it’s a walker’s dream. ...Saint Augustine is a delightful city. Easy to navigate and chock-full of shops, restaurants, and interesting sights, it’s a walker’s dream. Casa de Sueños is a lovely bed-and-breakfast to call your temporary home, with a generous social hour and an upscale buffet breakfast daily (think elevated eggs in a basket, vegetable strata, hash brown casserole, and freshly baked pastries). Or opt for the refined and swanky Casa Monica Resort and Spa. For dinner, a branch of the iconic Columbia Restaurant is an Old Town gem; its Spanish architecture and menu are perfectly suited for the surroundings. Continue strolling the cobblestoned streets after dark and splurge on a stop at colorful Le Macaron on Cathedral Place or one of the many other dessert destinations. Trolley and boat tours, First Friday Art Walks, and myriad museums round out this interesting and historic city. Taking in the sunset from Amelia Island, Florida, is a form of relaxation not to be missed! 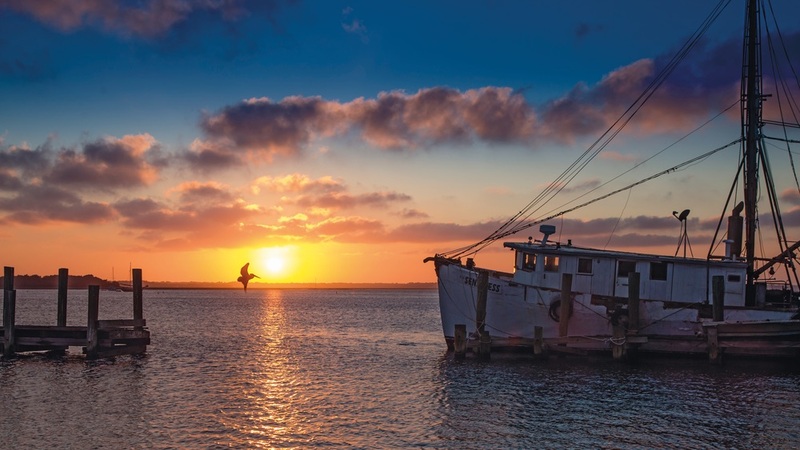 To continue this “unwinding road” adventure in a scenic way, hug the Atlantic Coast northward on A1A, where you’ll enjoy waterfront views plus the Saint Johns River Ferry in Mayport for a five-minute journey across the river. Then it’s onward to the dreamy destination of Amelia Island. If time is of the essence (less time in the car, more time chilling), buzz up I-95 from Saint Augustine in about an hour and a half. Amelia Island is nature at its best; the thirteen-mile barrier island offers pristine beaches, protected sand dunes, and sublime simplicity. Amelia Island is nature at its best; the thirteen-mile barrier island offers pristine beaches, protected sand dunes, and sublime simplicity. For the best stay for wellness seekers, look no further than the Ritz-Carlton, Amelia Island. Fitness classes from boot camp to Pilates and kayak tours, golf, tennis, bicycle tours, and hikes are just a few ways to stay active here. Marshmallow-roasting bonfires and the resort’s resident parrot, Amelia, delight kids of all ages. Little ones love the pirate tuck-ins complete with milk, cookies, and a bedtime story from a pirate captain and Princess Amelia. Renew yourself at the Ritz-Carlton Spa with its luxurious amenities and private pool. Try the Heaven in a Hammock massage cocreated by treatment supervisor Justin Murphy, who has pampered privileged guests for nearly twenty-five years. Consider completely indulging in the Surrender the Day or Amelia Island Couples Experience spa packages. Pry yourself from the resort long enough to explore the island and stroll blocks of shops, art galleries, and eateries along Centre Street and beyond in historic Fernandina Beach, Amelia’s only city. Take a break at the Palace Saloon, then allow 29 South restaurant and its on-site garden to spoil you with Southern hospitality and specialty dishes. The oak-lined lane at historic Wormsloe Plantation near Savannah, Georgia, is the picture of tranquility. Just a couple hours’ drive north awaits one of Georgia’s many treasures and your next road-trip wonder. Something is always happening in Savannah, considered America’s favorite haunted city (it is, after all, where the book and film Midnight in the Garden of Good and Evil were based). Make your home away from home at quaint and historic inns like the Savannah Bed and Breakfast Inn or the Planters Inn, or select a vintage-meets-modern lodging like the exquisite Mansion on Forsyth Park or the Bohemian Hotel on vibrant River Street. Trolley tours remain one of the best ways to explore the city, making stops at culturally significant hot spots like Ellis Square for the Telfair Museums, City Market for shops, galleries, and restaurants (don’t miss Vinnie Van GoGo’s iconic pizzeria), and gorgeous Forsyth Park. 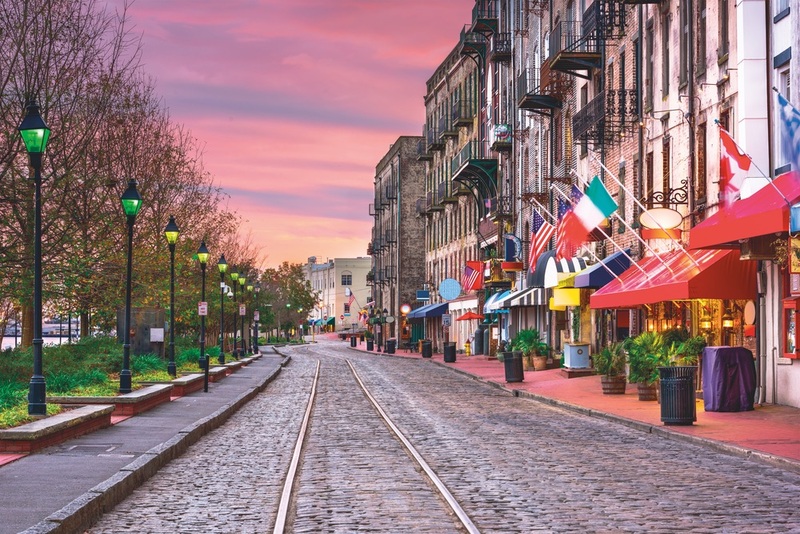 Charming bars, restaurants, and shops make for perfect exploring on Savannah’s River Street. Take US 17 across the beautiful Talmadge Memorial Bridge to wave good-bye to Savannah, Georgia, and to greet Charleston, South Carolina, just 106 miles north (unless you succumb to a tempting side trip to Hilton Head, Beaufort, Edisto Island, Kiawah Island, or Folly Beach). My (and my fellow yogi and travel buddy, Louise’s) ultimate goal for this highway-to-health road trip was a Yoga Warriors International training weekend in Charleston, taught by director Dharma Richards. Founded in 2005, Yoga Warriors is the first and largest program in the nation designed specifically to help veterans suffering from post-traumatic stress (PTS). The proven methodology helps active-duty military, veterans, and first responders and their families, plus many others who experience PTS or high stress. 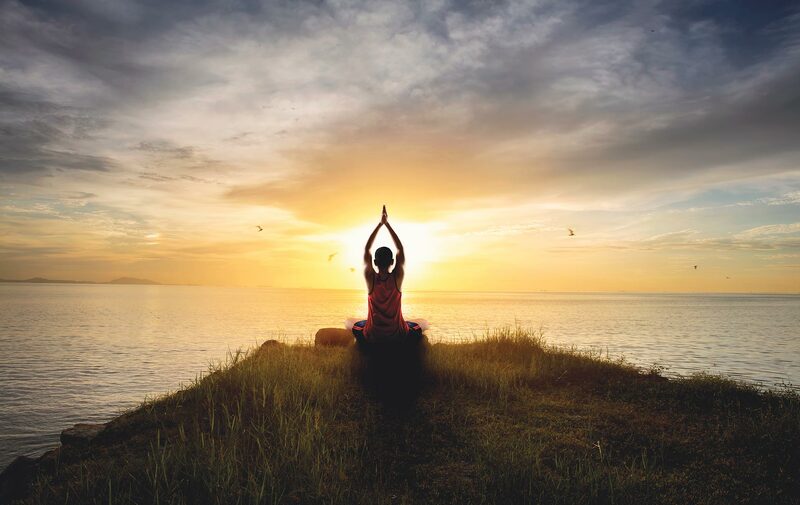 Yoga Warriors assists in the road to recovery, integrating concepts of traditional yoga with the modern scientific knowledge of the mind-body connection. Yoga Warriors assists in the road to recovery, integrating concepts of traditional yoga with the modern scientific knowledge of the mind-body connection. Compelling and meaningful, the training reinforced my belief in the power of the body to influence the mind, and the power of the mind to influence the body. Teaser alert: It wasn’t all work and no play in amazing Charleston; stay tuned for part 2 of this story in the July issue of VIE for an in-depth look at the healthy offerings and old-school cool of this charming Southern city. Janet Thomas is a longtime writer, editor, photographer, and yogi. She’s a former editor-in-chief of American Airlines’ luxury magazine, Celebrated Living, and is now joyfully beach-based along Scenic Highway 30-A in South Walton, Florida—when she’s not traveling the world for a good story.